"The $8.5 trillion global construction industry isn’t exactly known for its efficiency. The U.K. Green Building Council estimates that 15% of materials delivered to construction sites end up in landfills, the result of mismanaged scheduling and purchasing. The American Institute of Architects believes building-related waste makes up anywhere from 25% to 40% of America’s solid-waste stream. With construction spending in the U.S. totaling $1.13 trillion this year, those losses add up to more than $160 billion in waste— and that’s just in America." Photography of the 8 cardinal directions and one top down. All photographs are professionally edited for proper exposure allow you to view the entirety of the site. High resolution 8.5” x 11” prints are available for $40.00 and are delivered to an address of your choosing. 1 minute video composed of 5 moving shots. Digital delivery via OneDrive within 5 days of site visit. High resolution photography of interior walls, ceilings and floors. Catalogued, digital delivery via OneDrive. A finished time-lapse video composed of static photography. An additional angle can be added for $75.00 per week. 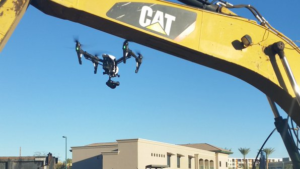 Construction site monitoring is the most common use for drones on active sites. With weekly, bi-weekly or monthly site visits you can obtain high resolution photography and video allowing you to “be on site” even when schedules prohibit. GIS is a rapidly changing technology thanks to drone technology. We can now do in days what used to take weeks via manned aircraft. Our team arrives onsite and collects aerial imagery without any disruption to daily activities. 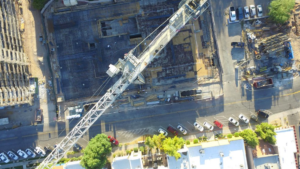 Using Pix4D (the global leader in drone born data collection processing) we can deliver .LAS files to your engineers with accuracy ratings in the centimeters. Staying connected to your investors is vital. With monthly progress reports via photo and video collection you’re sure to impress. 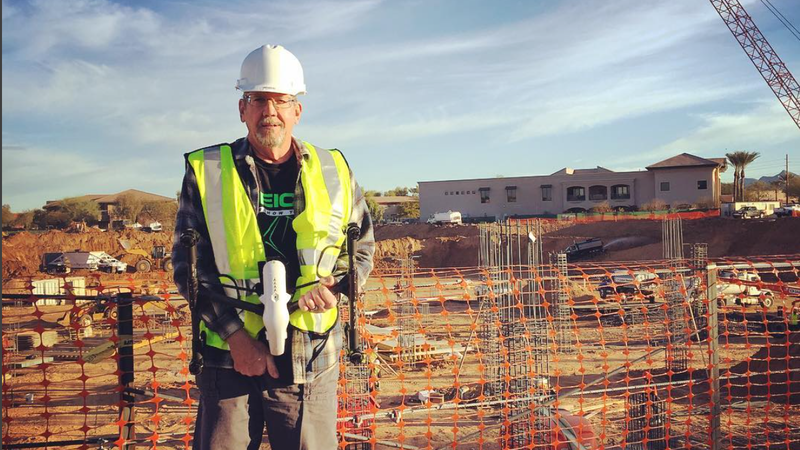 Keeping track of equipment within a site of any size can be a challenge. Using photogrammetry and Pix4d you can accurately inventory an entire site from the office using a computer rather than wasting hours navigating the construction site. It’s important to know how much material will be entering and leaving your site. That’s why accurate volumetric estimations can be critical. Knowing how much material you have in your stockpiles can save time and money. Allowing a drone to take stock of the quality of your pours and elevations is not only safe but practical. Documenting and inspecting for weaknesses cannot only help eliminate potential future problems it can also save millions in the event of litigation.